With the aim of "bringing the piano into the 21st century," Tristano recorded Idiosynkrasia with venerated producer Carl Craig at the Planet E Studios in Detroit. The celebrated pianist is no stranger to collaboration, with previous full lengths Not For Piano and Auricle/Bio/On featuring production input from Murcof and Moritz von Oswald respectively, and a number of live performances over the last year with the SHAPE project, alongside Craig and von Oswald. Adopting a more traditional album format after Auricle's duo of sprawling 20-minute arrangements, the nine track Idiosynkrasia continues Tristano's "quest for an idiosyncratic language that is somewhere between acoustic and electronic." As the teaser video below suggests, the core sound of the album will be the influence of Craig's deep space treatments applied to Tristano's acoustic piano. Audio snippets of album tracks "Mambo" and "Single and Doppio" point towards deep and dramatic transformations with experimental electronica accents, while title track "Idiosynkrasia" is a nod to more upfront dancefloor fare. Francesco "Idiosynkrasia" on InFine Music on Vimeo. 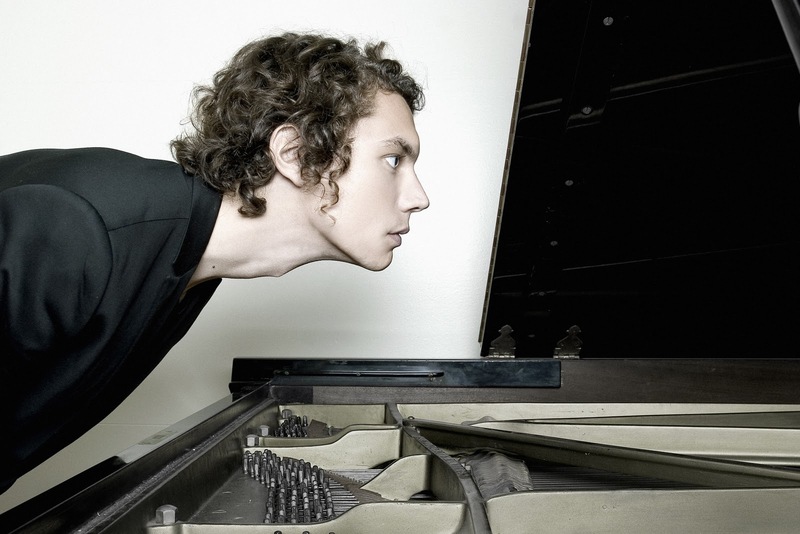 Francesco Tristano, aged 25, is establishing himself as one of classical music’s rising stars. Growing up in Luxembourg of an Italian mother and living in Barcelona since 2003, he has an impressive CV; The winner of the 2004 Orleans International Contest, a highly prestigious competition dedicated to 20th Century classical music, he is a graduate of the very selective Juillard School in New York where he studied from 1998 to 2003, before studying at conservatories in Luxembourg, Brussels, and Paris…He recorded several albums (Ravel - Prokofiev - Schlimé in 2006, Luciano Berio – Complete Piano Works in 2005, J.S. Bach – The Complete Keyboard Concertos in 2004, Goldberg Variations in 2002…). Although as a child he loved Bach, Vivaldi, Scarletti, Berio and Francesconi, he was quick to develop an interest in a wide range of musical styles. While he dreamed of becoming a drummer, he was also fascinated by jazz and improvisation, along with contemporary and electronic music. A music lover with an insatiable appetite for discovery, he soon began to experiment with genres, periods, interpretations and improvisations during his concerts. The audiences could have been disconcerted, but instead they loved it. For Francesco Tristano, Not For Piano is an opportunity for open-ended playfulness. He mixes styles (classical, contemporary, jazz, techno) with an exceptional degree of maturity. It features Strings of life (previously released as a CD single, featuring remixes by Kiki and Apparat), as well as two new cover versions of electronic music. Firstly, The Bells, Jeff Mills’ rave anthem, which is here given a fluid, masterful treatment. Then, a delicate and dreamy interpretation of Overand, by the electronica geniuses Autechre (one of Francesco’s cult bands). On other tracks, Not For Piano unveils new compositions, written by a team of two or four (in collaboration with Rami Khalifé or Raimundo Penaforte). The album was produced and mastered by Murcof, the Mexican producer and champion of elegant and melodic electronica. With discretion and subtlety, his production adds exquisite electronic touches, and creates multiple layers of synthesized magic (notably on AP, a tribute to the French composer Pascal Dusapin).